If you own a website ranging from being a new blogger to a multi-million dollar advertising agency, there’s one thing that all sites have in common. Traffic. And what’s the best way to monitor that traffic? Google Analytics. 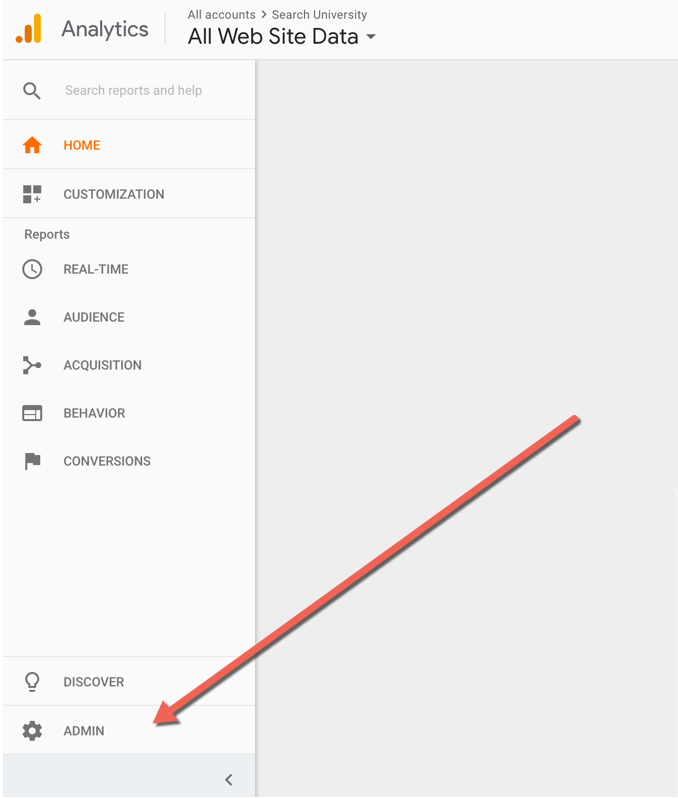 With Google Analytics you can measure things such as where your visitors are coming from, what links they click, and so much more. However, some people aren’t comfortable figuring out Google Analytics and would rather have a professional look at it, and some people have clients that they need access to their Google Analytics to ensure what they’re doing for their client works. If you’re either of those or any in between, you’re going to want to be able to grant access safely to your google analytics account. (Note: If you’re looking to learn how to set up Google Analytics, please read & watch that tutorial as this one is for someone who has already set up Google Analytics and is looking to grant access to someone else to see and use the data). First, you’ll need to log into your Google Analytics Account by going to https://analytics.google.com/analytics/web/ and log in with your Google account. If you don’t have one then sign up for it, it’s free. Note: This does not have to be a Gmail account since you can use any email address. However, in my opinion, it should be a company email, not a personal one. You’ll want to click “User Management” under one of these 3 columns. The three columns consist of the following; Account, Property, and View. If you are working with a digital agency such as ours, you should choose the Account column. Account level: users can add additional users, add additional websites to your account, other AdWords as well as AdSense to the account. 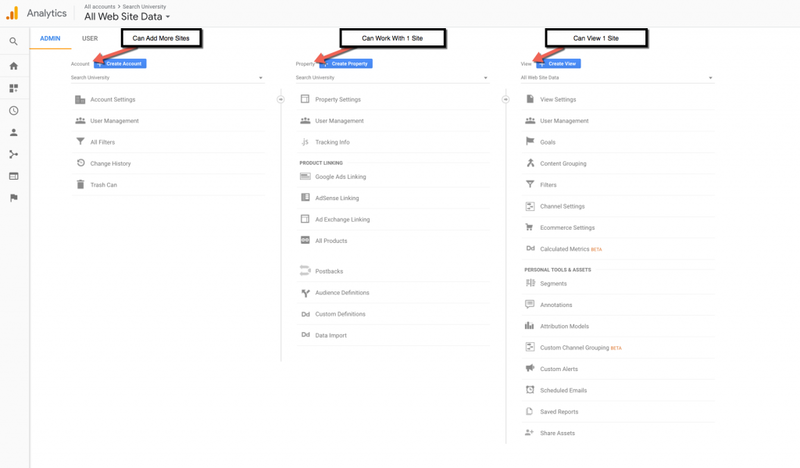 Property level: users can access the Google Analytics tracking code, change retargeting data, and modify settings on only one particular website. View level: users can view and add goals and content groupings. This is a great setting for the other people on your team at work that would like to see how the site is performing, but don’t need to alter any settings. Add permissions for the person/agency you are adding. You’ll need to know their email address. Next to the box where you entered their email address, you’ll need to select the actions you want to give to the user as well. Please note: “Manage Users” will only apply to the level of access you are granting. If someone has Property permissions they will be able to edit the property and view the permissions, but not they cannot do this with account permissions. If you are letting Digital Rooftop LLC monitor and maintain your website, click all of these boxes. Next, you’ll click on the checkbox to send an email to the new user you’ve just added so they can be notified that he or she has been given access. Click on Add and celebrate! You’ve successfully shared access to your Google Analytics account. It’s also worth noting that if your in-house staff changes, or if any of your vendors change in the future, you can go back in and remove them from the User Management area.